Beat the Clock. Defeat The Hood. Save the Day. Book now for the pop-up show of 2018 at London’s first purpose-built venue for immersive entertainment, The Buzz, at Mercato Metropolitano. Thunderbirds: Beyond the Horizon invites you to step on board Thunderbird 2, and be part of International Rescue’s mission. Only you can stop the catastrophic consequences. If you’re looking for your next theatrical adventure and a new original story, then this is the event for you. A world of immersive theatre, interactive gaming, nostalgia and a bar stocked full of Lady Penelope’s favourite cocktails! 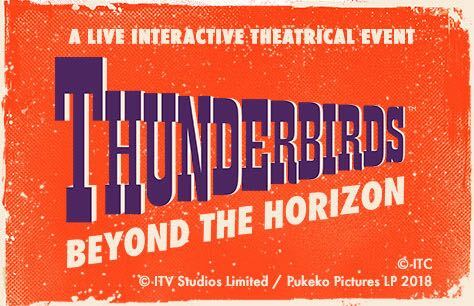 Thunderbirds: Beyond the Horizon, is London’s newest immersive experience at The Buzz. If Alice’s Adventures Underground captured your imagination, you enjoyed the challenge of Crystal Maze, or have lived to tell the tale of Secret Cinema then this is the next live experience for you. A Strictly Puppet Free Zone. Please be aware there are strictly no late admissions. We advise that you arrive at least 15 minutes before your start time.